Swami Vivekananda (12 January 1863–4 July 1902), born Narendra Nath Datta, was an Indian Hindu monk. He was a key figure in the introduction of Indian philosophies of Vedanta and Yoga to the western world and was credited with raising interfaith awareness, bringing Hinduism to the status of a major world religion in the late 19th century. He was a major force in the revival of Hinduism in India and contributed to the notion of nationalism in colonial India. He was the chief disciple of the 19th century saint Ramakrishna and the founder of the Ramakrishna Math and the Ramakrishna Mission. He is perhaps best known for his inspiring speech beginning with "Sisters and Brothers of America," through which he introduced Hinduism at the Parliament of the World's Religions in Chicago in 1893. Born into an aristocratic Bengali family of Calcutta, Vivekananda showed an inclination towards spirituality. He was influenced by his guru Ramakrishna from whom he learnt that all living beings were an embodiment of the divine self and hence, service to God could be rendered by service to mankind. After the death of his guru, Vivekananda toured the Indian subcontinent extensively and acquired a first-hand knowledge of the conditions that prevailed in British India. 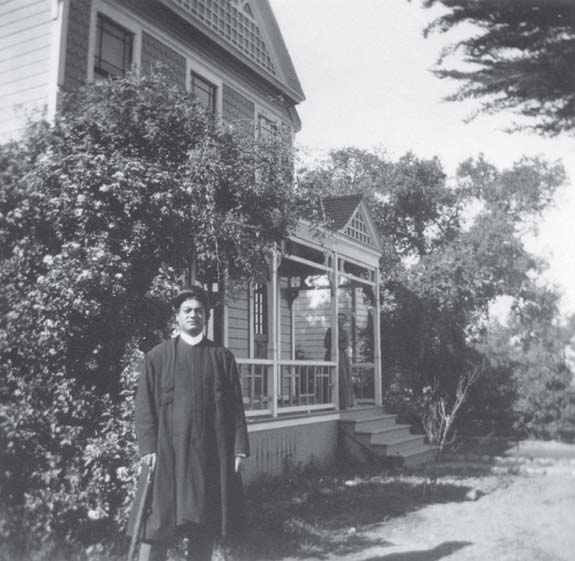 He later travelled to the United States to represent India as a delegate in the 1893 Parliament of World Religions. He conducted hundreds of public and private lectures and classes, disseminating tenets of Hindu philosophy in the United States, England and Europe. In India, Vivekananda is regarded as a patriotic saint and his birthday is celebrated as the National Youth Day. See for the highest, aim at that highest, and you shall reach the highest. "Comfort" is no test of truth; on the contrary, truth is often far from being "comfortable". The only test of good things is that they make us strong. Purity, patience, and perseverance are the three essentials to success, and above all, love. Stand up, be bold, be strong. Take the whole responsibility on your own shoulders, and know that you are the creator of your own destiny. The history of the world is the history of a few men who had faith in themselves. When death is certain, it is best to sacrifice oneself for a good cause. Experience is the only teacher we have. If superstition enters, the brain is gone. Tell the truth boldly, whether it hurts or not. The greatest sin is to think that you are weak. Whatever is weak, avoid! It is death. If it is strength, go down into hell and get hold of it! Neither money pays, nor name pays, nor fame, nor learning; it is CHARACTER that cleave through adamantine walls of difference. Not believing in the glory of our own soul is what the Vedanta calls atheism. The world is the great gymnasium where we come to make ourselves strong. Truth can be stated in a thousand different ways, yet each one can be true. We must be Bright and Cheerful, long faces do not make Religion. They alone live, who live for others. We hope guys you find Quote "Swami Vivekananda Inspirational Quotes" by Mr Great Motivations useful. If you think we have made some efforts, then don't forgot to appreciate us by sharing this Quote with your friends and family, And thanks for visiting.